Own A Luxury Lifestyle Inspired by Sugam Book Now !! Kolkata is one of the most popular residential hubs in the country, thanks to the enriched heritage of the city. 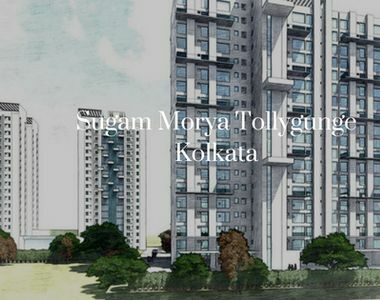 Homeowners seeking quality residences in the city can have a look at Morya Tollygunge. Well, Tollygunge is among the most popular localities within the city. The social infrastructure of the area is well-developed. With swift transportation facilities and a well-developed social infrastructure, this is one of the best areas in Kolkata to get a home. Traditionally, residents from all parts of the country have been attracted to Kolkata, due to its rich traditional heritage and commercial importance. Kolkata is an important business hub, and the commercial activities in the city are increasing. The IT hubs in Salt Lake and New Town have opened up tremendous employment opportunities for the residents. Corporate employees are seeking quality homes in Kolkata. In case you want to get an apartment here that comes with a good mix of sophistication and luxury, you can buy a home in Morya. The demand for quality residences in Kolkata is on the rise, and the prices of these apartments are increasing over the years. For investors and homeowners, this is the right time to get these homes. The residential complex comes with 3 and 4 BHK apartments for the residents. The prices of these apartments range between INR 64.48 lakhs to INR 1.26 crore. The estate brings quality apartments to the homeowners, and you can enjoy a wide range of amenities on the estate. 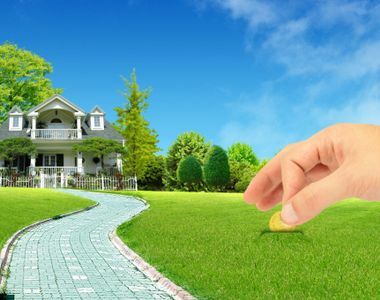 If you love green homes, you can get your dream home here. The residential complex comes with beautifully landscaped gardens and extensive green zones. The residents can enjoy their time in the open areas, in the walkways in the gardens, or sit in the balconies, absorbing the beauty of nature around. The floor plan of the residential complex has been intelligently made, which leaves them with a large area for public use. Have a look at the Morya Price list. The residential complex comes with a library for the book lovers. Health and fitness enthusiasts can enjoy a wide range of amenities for the residents. These include a badminton court, various indoor and outdoor games and much more. You can enjoy the magnificent view of the lush green gardens from your apartments. The apartments are spacious and the interiors are integrated with elegant furnishings. You can get an apartment in Morya Kolkata to experience quality living. The important commercial zones in Kolkata are located close to the residential complex. The residents can reach these areas in quick time from the estate. Besides, the residents can enjoy the beautiful view of the Golf Course and Tolly Club. The important schools in the area include G.S.S. Girls School, A.K. Ghosh Memorial High School, Nava Nalanda High School, G.D. Birla Centre for Education, The Future Foundation School, Sri Academy, The Cambridge School, and Orient Day School. The important hospitals in the region include RSV Hospital, B.P.Poddar Hospital, Fortis Hospital, AMRI Hospitals, Desun Hospital, Apollo Gleneagles Hospital, IRIS Hospital, Command Hospital, and Kothari Hospital. If you are willing to buy 3 BHK Apartments in Tollygunge, you can get an apartment in the residential complex. The places of entertainment are located close to the residential complex. Several shopping malls, multiplexes, restaurants, and bars are located in close proximity to the estate. The transportation system in Kolkata is well-developed. This ensures a seamless connectivity to these areas for the residents. 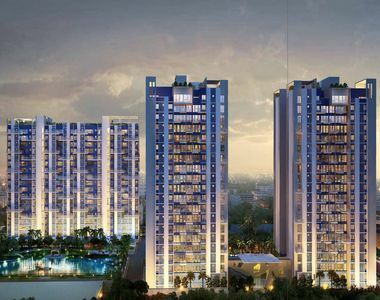 Investors and homeowners willing to buy Property in Kolkata can buy a luxurious apartment in this residential complex. Experience quality living close to the commercial zones in Kolkata while you enjoy the green living facilities.